Two experiences reminded me of the importance and scope of branding. The first happened when I added a new website address meant to reinforce my branding, StrategicBizGroup.com, and then created this email address using that URL. The result was a number of you asking which of my emails to use. Also, a few of my clients have recently asked for feedback on their logo, using the words “branding” and “logo” interchangeably. This channels the marketing teacher in me which immediately starts to explain the difference between a “logo” and “branding”. A definition for branding found in Entrepreneur says it all: “Simply put, your brand is your promise to your customer”. Here’s my definition: Branding is the strategy used to ensure current and potential customers or clients can easily and quickly identify you, your promise and differentiate the benefits that promise offers over your competitors. Even through “logo” and “brand” are often used synonymously, creating a logo should not be confused with having a full branding strategy. Rather the logo is simply a branding tool; the “mark” which instantly reminds consumers of your branding “promise”. So what goes into creating your branding? Since there are more than enough books and articles on the topic, I’ll limit myself to three fundamentals I urge my clients to follow. The primary purpose of branding is instant recognition of your product or service and the promise it offers. Many clients come to me with logos in different colors, shades of color or even multiple designs. This defeats the purpose. Consistency is what stimulates that instant recognition. And, since branding is much greater than a logo, that consistency must prevail throughout your company. It applies to every aspect of your product, service and communication consumers see and hear. For example, incoming phone calls are an aspect many small businesses overlook. Does the person answering your phones and the words he/she uses reflect the attention to detail and quality you promote for your company? Quality and consistency of brand are intrinsically linked. You can create an image for your company or product but if it’s application is not consistent, then branding will fail. My favorite example (or least-favorite since I am a user) is Windows 10. Microsoft’s tagline is “Windows 10 PCs do more. Just like you.” That is not exactly what I am thinking when I am wasting time while my computer installs yet another update! On-time delivery is also directly related to perceptions of quality. Your brand can be significantly harmed if the product or service is late. That is why a plan to ensure adequate capacity must be included in the overall marketing plan. I actually advise clients against launching a marketing campaign until this is done. And they thank me. The other meaning of integrity goes to the essence of what the company represents. Does the branding accurately reflect the mission and vision of the company? And, for closely held companies, is the branding authentic to who the owner is? Branding will only be consistent if it is an accurate reflection of the company and the people behind the company. One more small but significant piece of advice: Your email address should support your branding. Too many owners still use generic Gmail, Verizon or even AOL email addresses. Even if you do not yet have a website, personalized web URLs (another name for web addresses) are inexpensive and can be used just for your email. 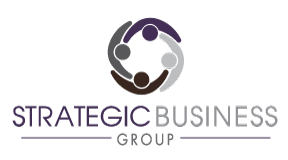 To that point and consistent with my branding, if you have other emails for me please update your contact list with this one: mark@StrategicBizGroup.com. I look forward to hearing from you if you have any questions about branding, marketing and even just an update on you and your business. How does your branding hold up? Is it consistent and accurately reflect you and your company?